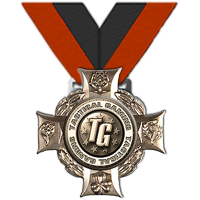 The Tactical Gaming Presidential Award recognizes an individual or group who has consistently and continuously displayed Tactical Gaming ethos in all aspects of the community. The group’s contribution must be sustained throughout a specified period of continuous enlisted active Tactical Gaming service. This award is given by Tactical Gaming President only. 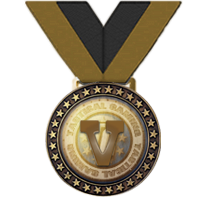 The Tactical Gaming Vice Presidential Award recognizes an individual or group who has consistently and continuously displayed Tactical Gaming ethos in all aspects of the community. This award is given by Tactical Gaming Vice President only. The Tactical Warfare Chief of Staff Award recognizes an individual or group who has consistently and continuously displayed their franchise ethos in all aspects of the community. This award is given by the Franchise Chief of Staff only. The Tactical Adventures Chief of Staff Award recognizes an individual or group who has consistently and continuously displayed their franchise ethos in all aspects of the community. 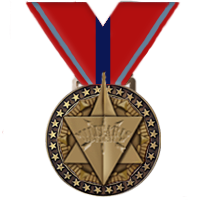 The Tactical Gaming Achievement Medal recognizes an individual who has consistently and continuously displayed improvement in all aspects of teamwork, communication, and training skills. Continuously going above and beyond in their assigned duties. The individual’s contribution must be sustained throughout a specified period of continuous enlisted active Tactical Gaming service. This award is given by Tactical Gaming Executive Committee only. 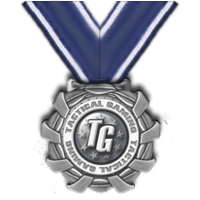 The Tactical Gaming Medal is awarded to an individual who has displayed exemplary behavior by increasing Tactical Gaming’s presence in the gaming community, on all platforms. 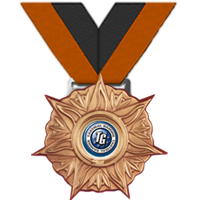 The recipient of this award must have distinguished him or herself from his team members by showing extraordinary dedication to campaigning in Tactical Gaming’s cause; by promoting Tactical Gaming’s interests throughout the gaming community; or by selflessly resolving conflict with outside organizations. 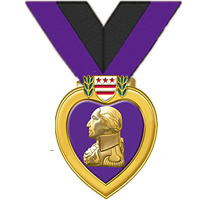 The Purple Heart is awarded to any member who, while serving in any capacity within Tactical Gaming, has fallen from our ranks due to injury, illness or death. This medal is to be automatically awarded to members of Tactical Gaming who are currently enlisted, or are Veterans of any branch of the Armed Forces, and who have been injured in the line of duty in real life. It is a symbol of the great void and sense of loss left within our ranks by this person’s absence, and a tribute to those who have suffered in the line of duty, for a cause much greater than themselves. The Purple Heart can only be awarded once and is given by Tactical Gaming Executive Committee only. 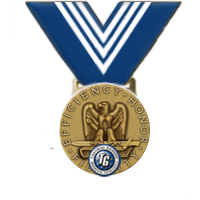 The Tactical Gaming Training Office Achievement Medal recognizes an individual who has consistently and continuously displayed improvement in all aspects of training inside of Tactical Gaming. The individual’s improvement must be sustained throughout a specified period of continuous enlisted active Tactical Gaming service. This award is given by only the Head Training Officer, the member’s Head Trainer, and/or Assistant Trainer. Approval remains at Tactical Gaming Executive Committee level. 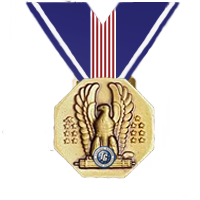 The Tactical Gaming Public Relations Achievement Medal recognizes an individual who has contributed to the continued success of the promotion growth of Tactical Gaming through competition management, written work, or video based support. This award is given by Public Relations Office staff only. Approval remains at Tactical Gaming Executive Committee level. 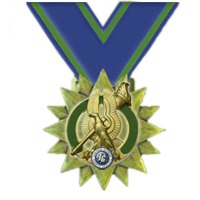 The Tactical Gaming Valor Award is worn to distinguish members who have excelled through trials of competition where the member displayed great heroism, dedication to duty, and gallant professionalism while representing Tactical Gaming. This award is recommended by the Franchise Division Officer/Chairman to display it's prestigious nature, and is reserved for only those individuals who stand out from their peers through competitive prowess and effectiveness. This award is reserved for only one individual of a squad/team that places in the top 10 of a competitive ladder, league, tournament or event. This award is given by Tactical Warfare Command or General Assembly after recommendation by Division Officer/Chairman. The Outstanding Volunteer Award is given to an individual who has performed outstanding volunteer service of a sustained, direct and consequential nature, to further Tactical Gaming’s cause. While there is no specific time threshold to qualify for the Outstanding Volunteer Award, the Chain of Command (CoC) shall ensure the service to be honored merits the special recognition afforded by this award. This award is intended to recognize exceptional volunteer work over time and not a single act or achievement. The Outstanding Recruiter Award is given to an individual who has performed outstanding recruiting service of a sustained, direct and consequential nature, to further Tactical Gaming’s presence in the gaming community. While there is no specific time threshold to qualify, the CoC shall ensure the service to be honored merits the special recognition afforded by this award. This award is intended to recognize an individual who recruits ten new members. To qualify, all ten members must complete Boot Camp or Training Camp. The TG Sponsor Award is to be automatically awarded to members who have invested in Tactical Gaming financially, in the form of a annual donation. TG Sponsors have made the decision to donate financially to our organization to ensure that the costs of running our day-to-day operations are met, as well as to contribute to the betterment of the community by allowing future improvements to our site which would otherwise not be possible. 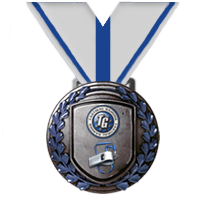 The Outstanding Contributor Award is to be automatically awarded in the name of Tactical Gaming, to members who have contributed financial resources to ensure the future and growth of TG. It is also used as a token of Tactical Gaming’s appreciation for those individuals who are dedicated enough to spend their own money in order to proudly display their affiliation to Tactical Gaming, such as by adding “TG” in front of their gamertag. 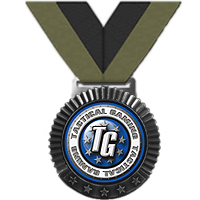 The Tactical Gaming Tenure Medal is awarded for service completed inside of Tactical Gaming. It is automatically awarded to each member of Tactical Gaming who meets the specified period of continuous enlisted active Tactical Gaming service. Qualifying periods of service include the 1 year, 3 year, 5 year, 10 year, 15 year marks of service. 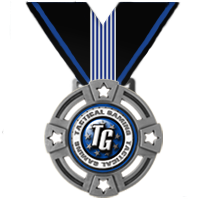 The Tactical Gaming Advanced Training Medal is given to an individual while serving in any capacity within Tactical Gaming, distinguishes themselves by earning superior ratings in all Advanced Training Courses offered by the Training Office for their assigned franchise. This award is intended to recognize an individual who has earned superior on all ATC's offered by either Franchise inside Tactical Gaming. To qualify, member must complete all testing with superior ratings. 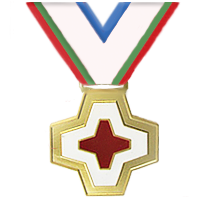 The First Responders Medal is to be automatically awarded to members of Tactical Gaming who are currently serving or have previously served as a first responder and have provided proof of service for verification. 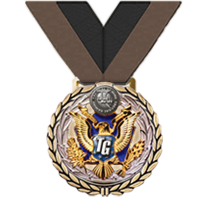 This medal is a small token of Tactical Gaming’s appreciation for those individuals who selflessly gave time out of their lives to a cause greater than themselves. The First Responders Medal can only be awarded once. The Armed Forces Service Medal is to be automatically awarded to members of TG who are currently serving or have previously served in any branch of the Armed Forces of any country and have provided proof of service for verification. 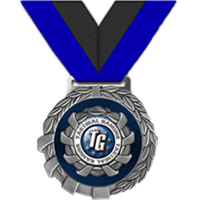 This medal is a small token of TG’s appreciation for those individuals who selflessly gave time out of their lives to a cause greater than themselves. It also denotes an individual who is trained in real life combat tactics, operations, and technology, and should be regarded by all members of TG as a highly valuable resource. The Armed Forces Service Medal can only be awarded once.